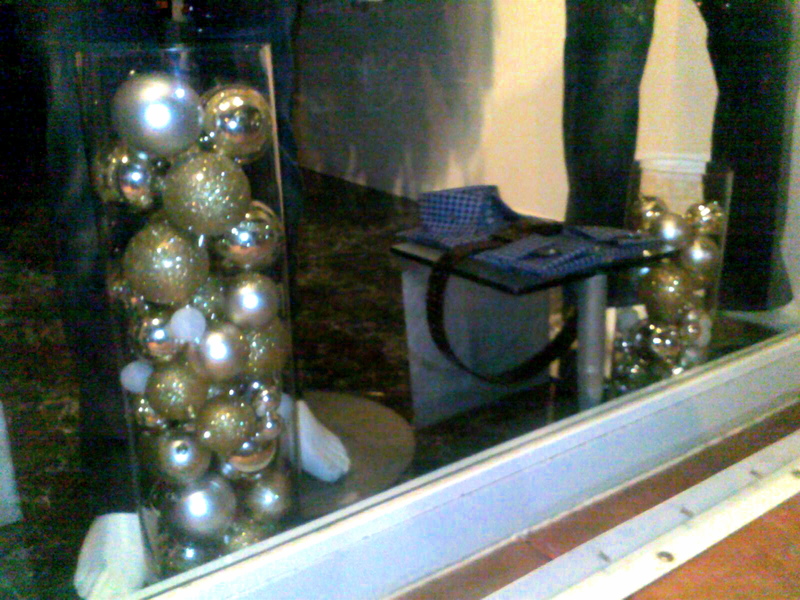 Before I left chilly SF for the warmth(chilly) of the beach, I did a bit of Holiday decorating. Though I knew I’d be spending a bit of December in a (usually) warm environment, I wanted it to feel like winter. In an earlier post I exhibited how one might decorate simply without breaking the bank. 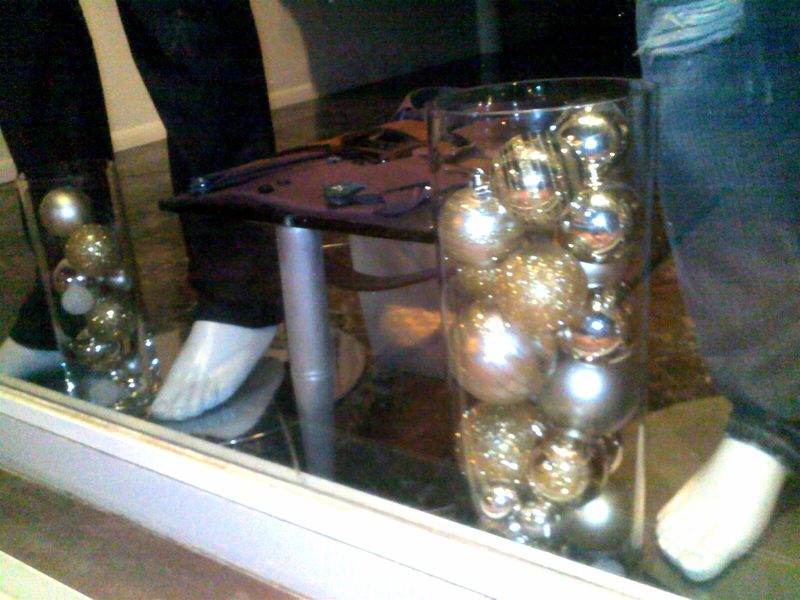 Silver ball ornaments in glass vases. 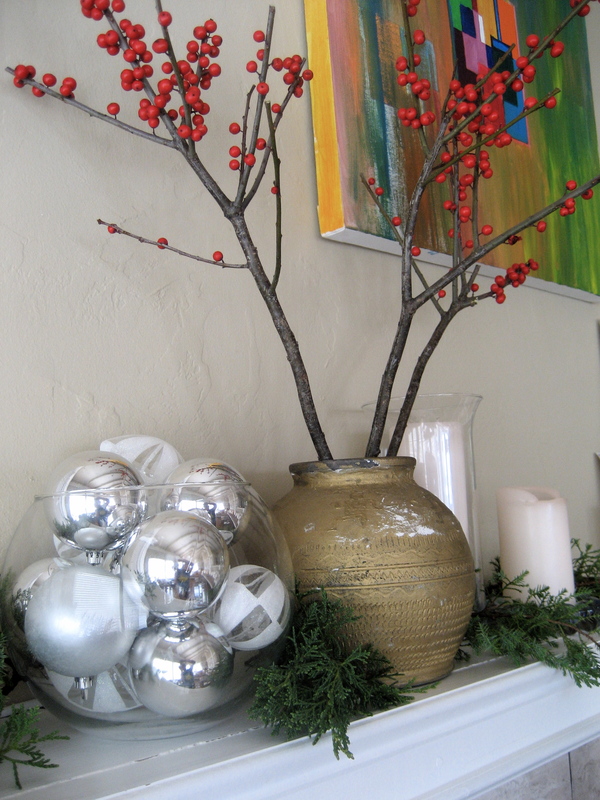 Just fill clear vases(you probably already own) with assorted ornaments and stagger them together. Voila! Simply and easy. 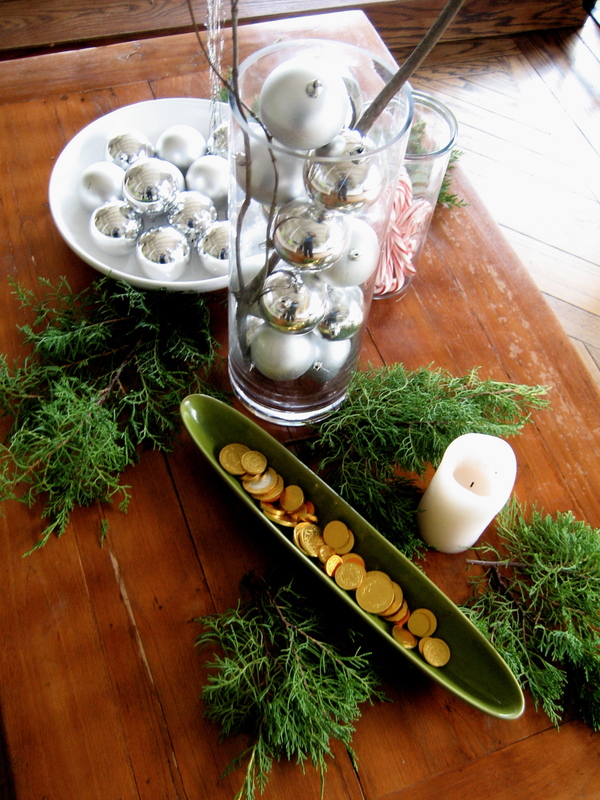 Not that I’d do this every year, but it is a cute, simple and shiny way to decorate. Again, it won’t set you back a fortune either.